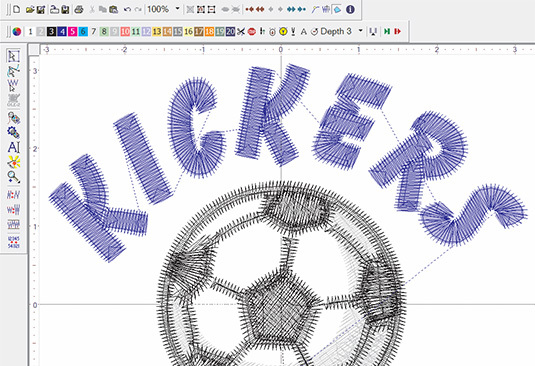 Get Embroidery Software. Get Wings' XP Experience! 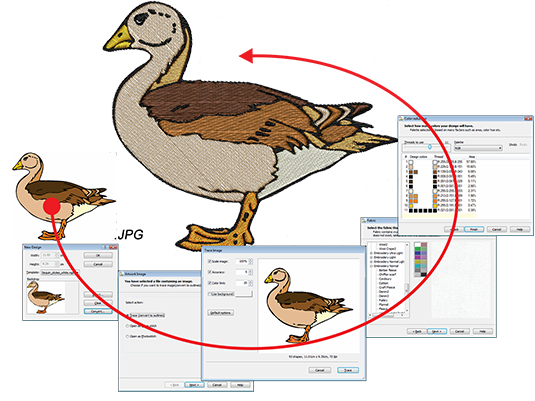 With a new 3D working interface and an abundance of new tools and features, Wings' XP is the most powerful embroidery software available yet it's still easy to learn and easy to use. symbol to quickly locate even more of the exciting new features. 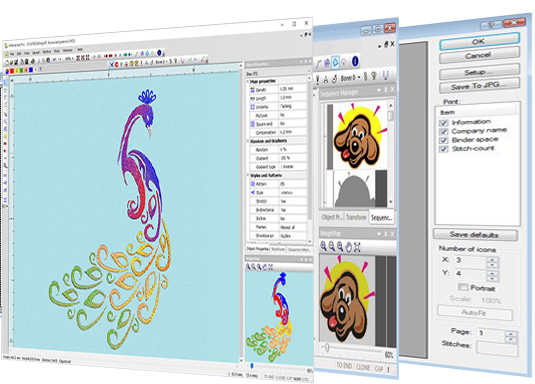 Microsoft OLE-2 technology is integrated in all eXPerience® digitizing levels, allowing users using powerful CorelDRAW® graphic tools inside Wings'XP® to achieve highly productive precision accuracy. The Wings'XP® stitch engine works with hundreds of automations to ensure top quality and clean stitch generation in all processes. The intelligent "Clean Up Expert" will automatically reset the start and end points, add or remove trims, add or remove fix/lock stitches in the entire design, and save the digitizer a tremendous amount of time in readjusting all these parameters during parameters during digitizing and manipulation. The unique user-friendly interfaces and self-obvious tools or functions allow users to maintain high performance in all their digitizing processes. With it's highly efficient branching system, the digitizer can break apart/join the lettering strings in both character and object levels for fast editing, or it can cut out the overlapping voids in a matter of seconds. Some of the more advanced new features include the circular array and rectangular array tools available in the Operator level and above. New tools in Puncher and above include curved direction of stitches (shown above) and the ability to trim and/or weld objects. Pro level gives the ability to apply a different style per line and the exciting new Chenille stitch type. Pilot is perfect for beginners because it includes lettering, editing, and very basic digitizing tools. Some embroiderers never need anything more! If you have some experience or you're just the "go-getter" type, Operator and Puncher each have more digitizing tools and time-saving features. Experienced embroiderers who want full control over the digitizing process plus the most powerful digitizing tools should take a look at the Pro level. No matter which level you choose, you will be getting an easy-to-learn embroidery software package that produces spectacular sew-outs.